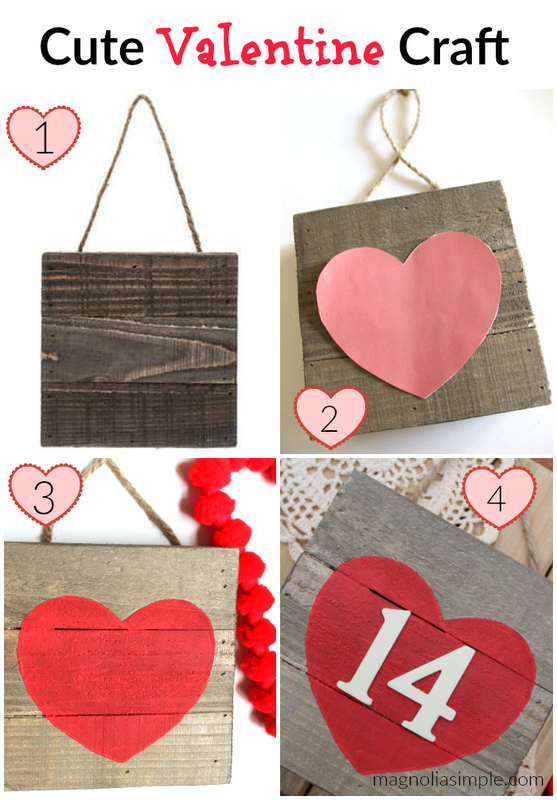 Make this cute Valentine’s Day sign with this easy Valentine craft tutorial! Adult craft nights are becoming wildly popular across the country. It’s a great way to gather with friends, socialize, and create something cute for the home. 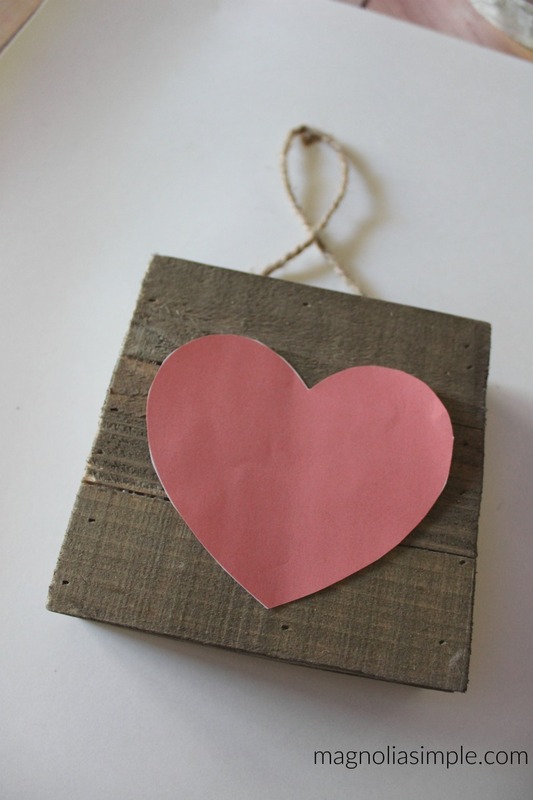 This easy Valentine’s Day Craft is perfect for a group to create and is simple enough for even your “non-crafty” friends. The end product looks great in a decorative vignette displayed on the mantel, over a door knob, or by your hot beverage station! 6″x 6″ Wood Plank , Click the link for a prestained option at Amazon. You can also find plank signs at Hobby Lobby, Walmart, at other craft stores. 1. Print out heart and cut out. 2. 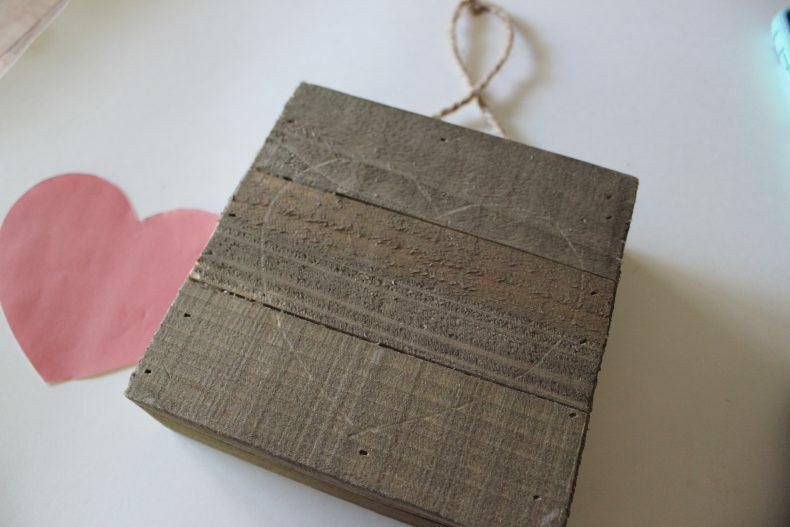 Tape the heart down on the plaque and trace around it with a butter knife, or a pen top to indent the wood onto the plaque. 3. 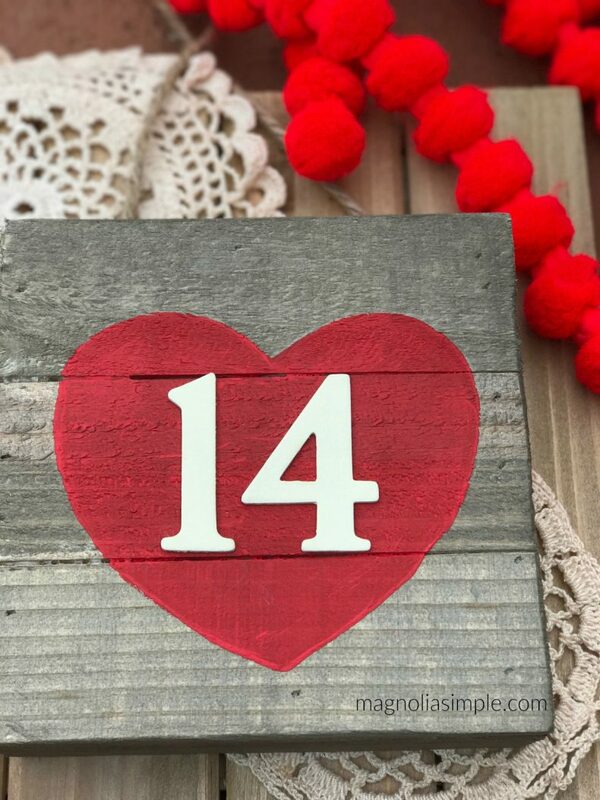 Paint the heart with red acrylic craft paint. Allow to dry. 4. Paint the numbers 1 and 4 with white acrylic paint and allow to dry. 5. 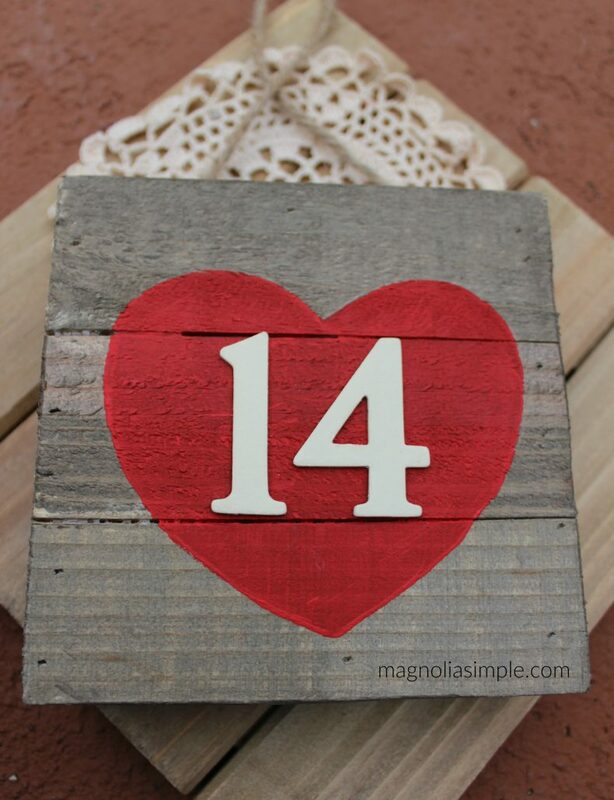 Once dry, glue the numbers onto the plaque in the center of the heart. 6. If your plaque did not come with a hanger, you can hot glue a piece of jute twine onto the back of your plaque. Enjoy!